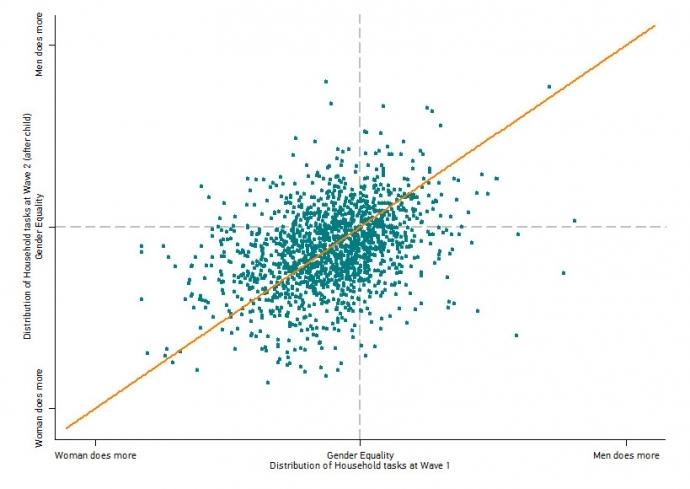 Does gender equality matter for fertility? We studied how three dimensions of gender equality affect the intentions of women and men to have a child in the near future: employment, financial situation, and equity in housework & care. 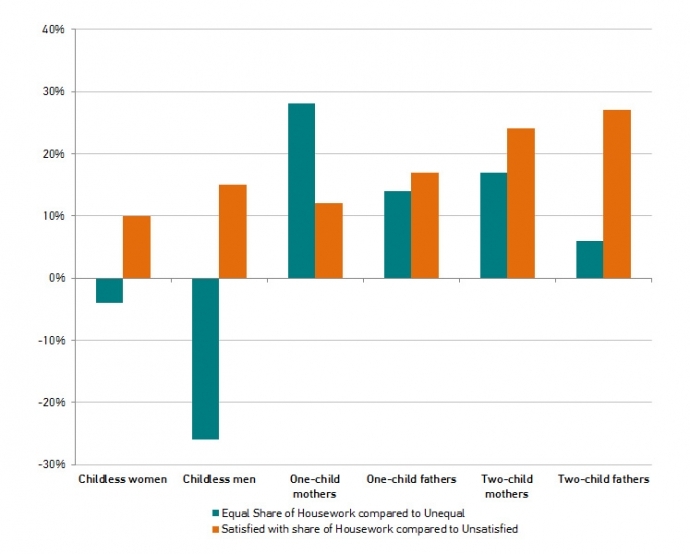 Gender equality in each of these dimensions has a different impact on the childbearing intentions of women and men, but parenthood is still a dividing line between more and less gender equality. The rise in divorce rates across Europe raises important questions about forming new marital or cohabiting unions. Finding a new partner following divorce can be important because of its potential to counteract some of the negative effects of divorce. For example, divorcee’s generally report lower wellbeing than married people but a new romantic partner has been shown to counteract this. Furthermore, divorce has been found to result in a decline in socioeconomic status, for women in particular, which can be offset by remarriage. The majority of divorcees do re-partner yet the likelihood and the time between divorce and new partnerships can vary greatly between individuals. 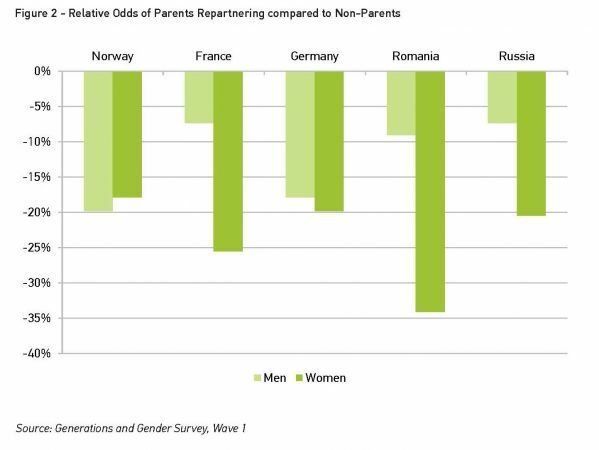 Our analysis of GGP data shows that women find it harder to find a new partner than men and that this is partly due to women having custody of children from their previous relationship. 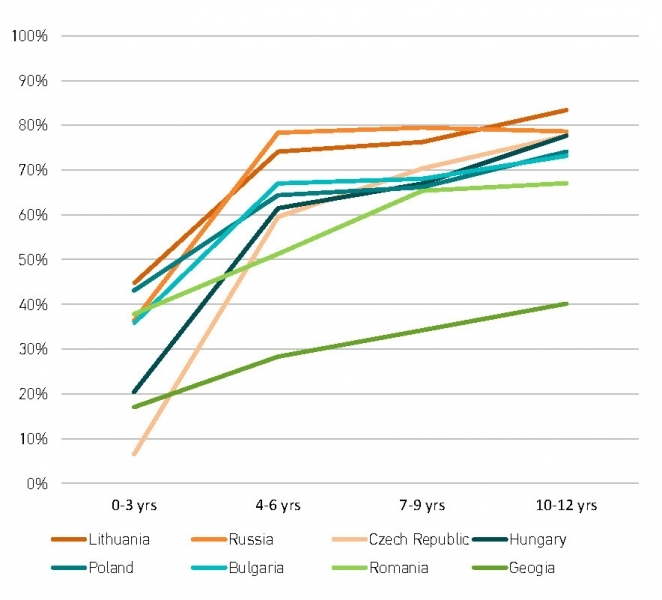 By looking at five very different countries we show that there are similar patterns across Europe despite differences in custody arrangements.